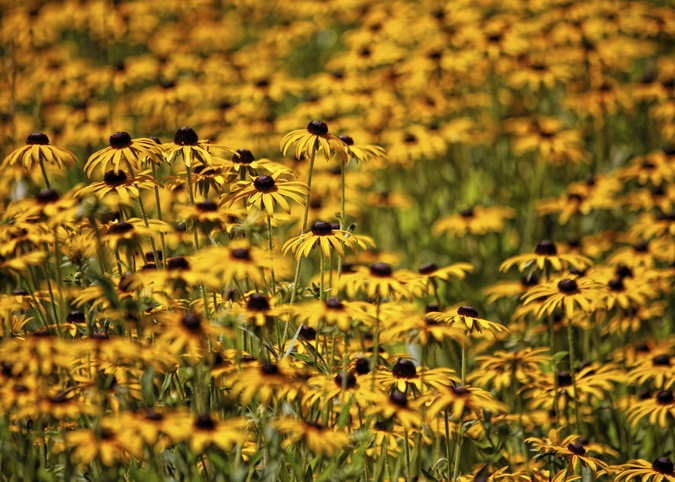 Black Eyed Susans always remind me that the end of summer is here….but what a beautiful reminder! I just love how this field of flowers glowed in the sunshine! ~ by Tammy on September 2, 2011. Wonderful, love these flowers, too. Summer will come again! SO pretty. Love the almost random DOF. This has become one of my new favorites! I love it! She’s a beauty and love the DOF! So beautiful Tammy, well done!! The filed just glows with sunlight. Your selective focusing adds interest. You’re right…it’s a perfect end-of-summer shot and great depth of field. This looks like it goes on forever. A sea full of sunshine! Beautiful image. Love the field of Black Eyed Susans, and the central focus. A whole field of them is most impressive. I’m just accustomed to an isolated plant or small grouping. Have I mentioned how much I love black eyed susans? This is great! They are the essence of the end of summer, Fun that we both had the same flower on the Friday. Must’ve been stunning to see that many in person…love the way you have photographed them. Fantastic use of selective focus!